Perhaps those Vienese opera houses are just too constricting, because some Austrians feel that opera is best enjoyed outside, on Lake Constance, at the base of the Alps. Given the photos, I tend to agree! 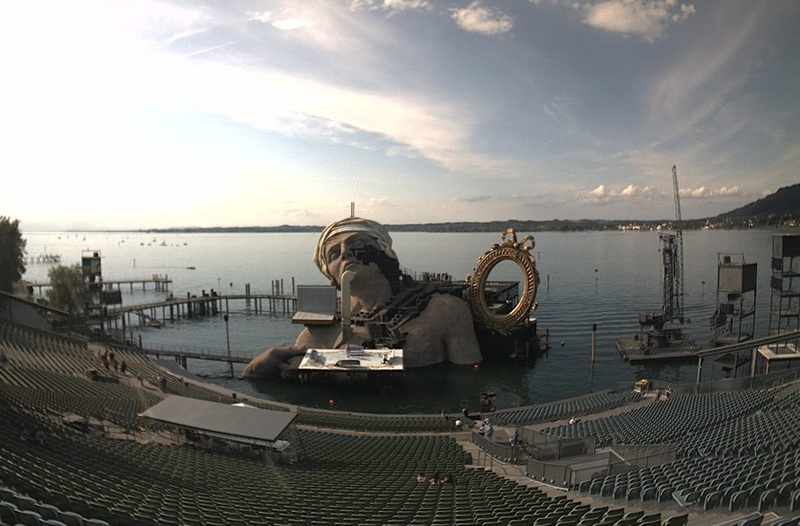 Each July and August, a magnificanetly-staged opera highlights the Bregenz Festival. This year, the Austrians play out the Italians' iteration of the French Revolution in Umberto Giordano's Andre Chenier. ﻿You can monitor the progress on the extraordinary set via the festival's webcam. So, so wonderful.